We test for the existence of gender bias in power relationships. Specifically, we examine whether police officers are less likely to issue traffic tickets to men or to women during traffic stops. Whereas the conventional wisdom, which we document with surveys, is that women are less likely to receive tickets, our analysis shows otherwise. 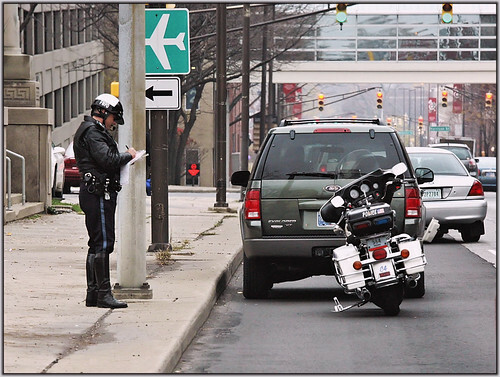 Examination of a pooled sample of traffic stops from five locations reveals no gender bias, but does show significant regional variation in the likelihood of citations. Analysis by location shows that women are more likely to receive citations in three of the five locations. Men are more likely to receive citations in the other two locations. To our knowledge, this study is the first to test for gender bias in traffic stops, and clearly refutes the conventional wisdom that police are more lenient towards women. If you want to get out of tickets, some training in negotiation might help. Cialdini’s seminal book on influence is here. I also recommend his more recent release Yes! : 50 Scientifically Proven Ways to Be Persuasive. « Who do female serial killers murder and what methods do they use?